Jonathan Downie is a conference interpreter and PhD student in Interpreting Studies at Heriot-Watt University in Edinburgh. He co-edits the LifeinLINCS blog, the unofficial blog of the Department of Languages and Intercultural Studies at Heriot-Watt. He is passionate about bringing researchers and practising professionals together. Why would a translator and interpreter who was beginning to get some valuable clients spend some of his non-working time reading research papers? Why would someone who was slowly learning to network and gain useful contacts start applying for conferences on Translation Studies rather than for a nice CAT tool presentation? Those are good questions. In fact, they are questions I asked myself for a while. You see, for most translators and interpreters, the word “research” makes them think more about termbanks and parallel texts than error counts and statistical analysis. Research for them is all about getting the next job right and maybe, if you find the time, keeping an eye on the markets you work in. There is absolutely nothing wrong with that kind of research. To translate and interpret well, you need to be a good researcher, or more correctly a good “information finder.” What you don’t need to do is think any wider than the world of your current or next job. This begins to explain why I slowly swapped translation work for interpreting research, although I still interpret. What I found myself wanting, especially on those days between jobs when I had done lots of marketing and still no clients were biting, was a longer range perspective. Surely there had to be something more than simply finding information and applying it to the current job. Now, truth be told, I am not much of a philosopher. I have never been attracted to questions like “what are we doing when we translate?” or “whose power are we supporting?” On the other hand, I am interested in how we can learn and improve more effectively, how we can better understand our clients’ needs and how we can improve the status of translators and interpreters. Answering that kind of question leads very quickly to finding ways of helping professional translators and interpreters in one way or another. Believe it or not, I actually believe that translators and interpreters can help themselves. In some ways, they already have a better understanding of the questions I posed than most researchers. If your livelihood depends on it, you had better get very good at determining what your clients want! If you want to increase your earning power, you had better get a good understanding of how you could improve. What’s missing is what researchers call “generalizability.” Learning techniques that work for you might be pretty useless for someone else. Your clients probably communicate in a very different way than mine. 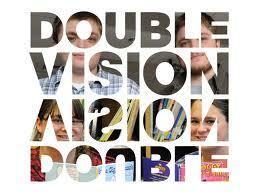 What we all need then is a kind of double vision. We need to be able to focus intently on the job we are doing now while still taking an interest in wider debates and issues. The truth is, if any long term improvements are going to happen in any area of translation and interpreting, it will take a combination of hard campaigning and strong data. It will take people who are excellent at the work they are doing now and yet are far sighted enough to think about the bigger questions behind their work. Those bigger questions are why I became a researcher and they are we why all need double vision. Thank you for the privilege of writing a guest post. It was great fun.